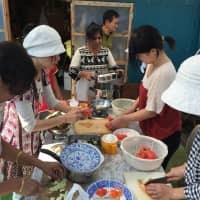 Tabica is an online service that connects hosts from all over Japan who offer hands-on activities straight out of their daily lives to guests who want to experience a little bit of someone else’s day. It is run by Gaiax Co., a social media creator, provider, marketer and incubator that is also leading the sharing economy market in Japan. Tessei Hosokawa joined Gaiax in 2013 after graduating from university, and won an in-house business plan competition with the idea of Tabica the following year. Now, he leads the project as the section leader of the firm’s Regional Revitalization Division. “When I was a child, there used to be many small events in local communities such as nagashi sōmen (catching noodles flowing through bamboo flumes with chopsticks), mochitsuki (pounding rice with large wooden mallets to make mochi rice cake) or roasting sweet potatoes on a bonfire,” he said. Since such opportunities to interact with neighbors of all ages were vanishing, Hosokawa wanted to recreate them in a way that reaches out to more people in diverse locations using the internet. His idea matched people’s wants. Tabica was launched in June 2015, and it has grown to have approximately 35,000 users and 5,200 hosts. About 5,000 activities have taken place so far. It won an encouragement prize in the ICT (information and communications technology) Regional Revitalization Awards presented by the Ministry of Internal Affairs and Communications in 2016. “Tabica stands for tabi (journey) and sumika (home). So the concept is traveling to someone’s home. 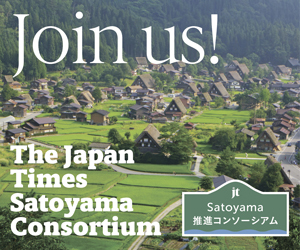 We want to help people experience how other people live and discover new values,” Hosokawa said. Katsumi Koga, who calls himself a “grandpa in the countryside,” is one of the hosts. He offers activities that include chestnut gathering, making bamboo tableware and cooking rice in bamboo tubes on an open fire in his organic orchard in Taku, Saga Prefecture. His activities are not just bringing new visitors into the region. Local mothers and children started to come, creating intergenerational exchanges within the community. However, the hosts who are registered with Tabica are not hospitality professionals. To help them design enjoyable and efficient plans, Tabica’s website offers a solution. There is a form on the website for hosts to complete when they post new programs. Hosts can have a timetable and description of their programs ready just by filling in the blanks. They do not have to grapple with pen and paper or present their ideas in PowerPoint. It is also made convenient for guests as they can make payments online, and the fee includes insurance that covers medical fees for accidents that may occur during the programs they participate in. Another good point about the online service is that it makes it easier for migrants to share their ways of life with the people within and outside of their new communities by hosting guests. Among such cases, there are some examples of foreigners becoming hosts. Alexandre Gerard, who moved from France to Japan eight years ago, is one of them. He lives in an old traditional house in Jike Furusato Village in Yokohama, known for being one of the closest countryside locales from the center of Tokyo. 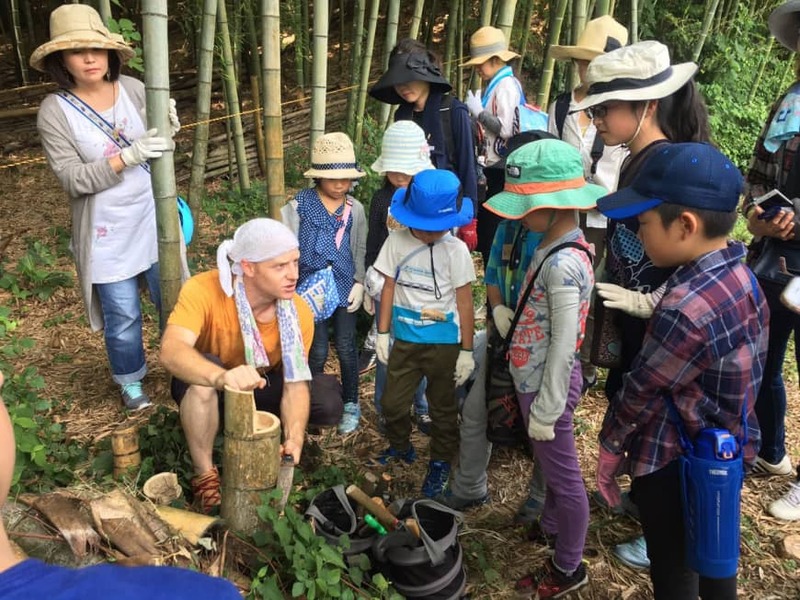 He offers diverse, seasonal nature programs, including plant dyeing, digging for bamboo shoots, observing insects and organic cooking, which guests can enjoy while brushing up their English communication skills. Bahram Enanloo, who moved from Iran to Japan about 30 years ago, offers agricultural experiences in the northern part of Kobe in Hyogo Prefecture. Guests enjoy working on his organic farm and rice field surrounded by forests. 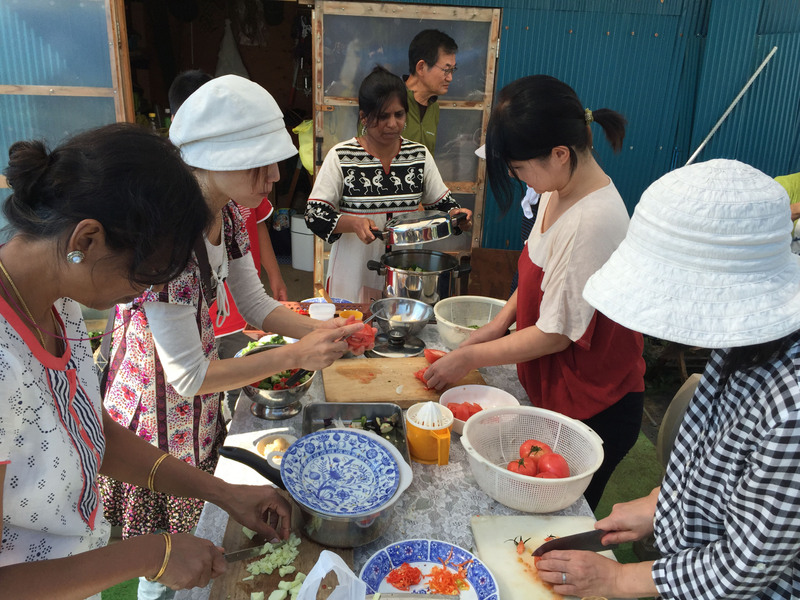 These examples represent a new trend of migrants changing Japan’s rural areas. “They attract people from outside with their ways of living that are different not only from urban life, but also from the conventional lifestyles of the locals. So the local people are also curious to know what they are up to,” said Hosokawa. Sharing experiences is what Tabica is all about. It is one of the examples of what the society can do in the context of a sharing economy. 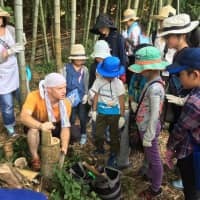 “It has been an ordinary practice to share work, tools, vegetables and even forests in rural communities,” said Hosokawa. The key to make the traditional custom more adaptive and effective in the present day is to “visualize who can share what,” he said. Tabica continues to be the platform for sharing experiences and what nature has to offer by turning the daily life of someone into someone else’s destination.